To celebrate the upcoming release of Fire Emblem Heroes on iOS and Android, Nintendo is sponsoring a poll to help separate the most popular characters from the series. Over on the official website, you can vote for each and every character that has ever appeared in a Fire Emblem game, even the Japanese releases! It’s strange, but I don’t think that Nintendo of America has ever publically acknowledged that these even exist. 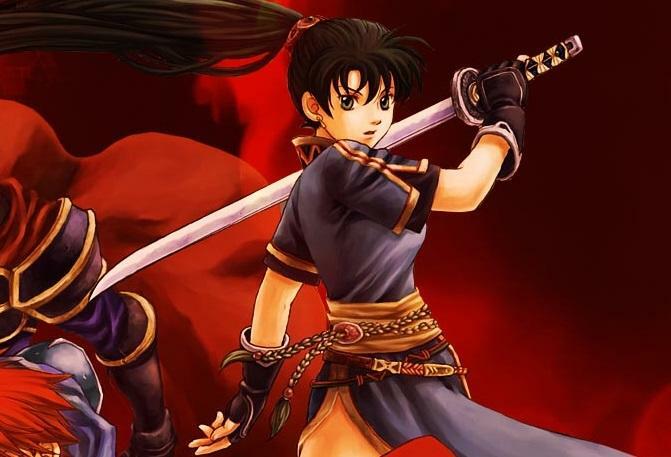 And the current standings is as such, with Ike from Path of Radiance and Super Smash Bros. leading for the males, and my absolute favorite Fire Emblem character, Lyn from the first GBA Fire Emblem game, The Blazing Blade in Japan, charging in front for the females. As you can see, The Blazing Blade is still incredibly popular amongst the series’ fans, and one of its male protagonists, Hector, trails behind Ike and Roy, who are likely boosted by their Super Smash Bros. appearances. As for the females, the Nintendo 3DS heroines lag behind Lyn. Psst… if you’re new to the series, it’s because The Blazing Sword is the best game from the series that has been released in North America. If you love Awakening and Fates, then be sure to check it out as well. It might feel like a leap back in time, but you’ll emerge from it a stronger and more satisfied human being. I’m not as versed in the Super Famicom games, but if Nintendo were to release them in some official capacity, I’m sure they would do better in these polls as well. Supporting cast members need love too! If we’re breaking away from the main characters, let’s not forget that the series is loaded with minor characters who need a lot of love. I’m trying my hardest to remember, but none of the Fates or Awakening gang left enough of an impression on me. Instead, we turn back to The Blazing Sword, where we have Oswin and Lucius, who are the most destructive duo that the series has ever seen. A general who can take hits from even the strongest enemies in the game without a flinch, and a monk who dodges everything and unleashes fast, powerful light magic. I guess, the point is, vote for The Blazing Sword wherever you can, and download it for the Wii U Virtual Console if you’ve never played it. And then play Fire Emblem Heroes when it comes to iOS and Android on Feb. 2.